Soterix Medical REMOTE Neuromodulation is the only system with device, accessories, and software designed for deployed use. Safe transcranial Electrical Stimulation requires advanced systems designed for consistency and control. REMOTE Neuromodulation is the only system designed from the ground up to allow translation of clinical tES, including tDCS protocols, to diverse deployed environments, while maintaining medical standards. The only head-gear that is simple to self-apply and guarantees accurate electrode placement. The only pre-saturated snap electrodes for tES in deployed environment. 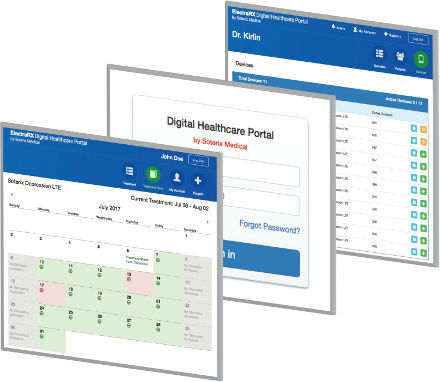 ElectraRx integrates complete screening and assessments, tDCS dose management, and online digital therapeutics all in one place that can be accessed from anywhere. 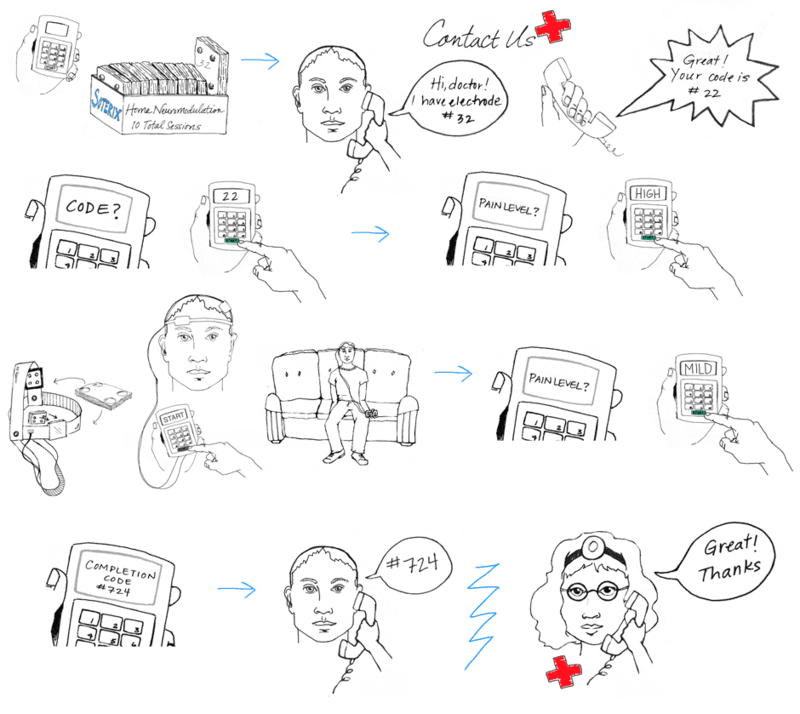 REMOTE Neuromodulation starts and ends with a professional caregiver. Dose control, limits, and remote monitoring are ensured thought unique systems and controls. Accessories &plus; intelligent hardware equipped with our proprietary LTE technology that are designed for safe and consistent application in deployed environment. Soterix Medical is the technology leader in noninvasive electrical stimulation and has developed advanced task-specific neuromodulation devices. Soterix Medical hardware and accessories for remote use is the only equipment designed and validated for the purpose. Other systems designed for use by professional and medical and research centers cannot be rigged for home use. 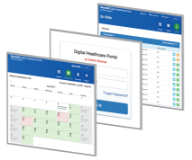 Soterix Medical REMOTE is supported by over a dozen clinical trials including the demonstration of tolerability, reproducibility, and compliance. Rigorous Remotely Supervised Home Delivery in Multiple Sclerosis. 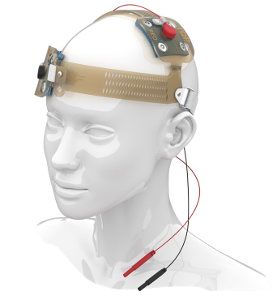 A multi-disciplinary team of scientists and Soterix Medical engineers develop the first systematic guidance for tDCS delivery, away at home. 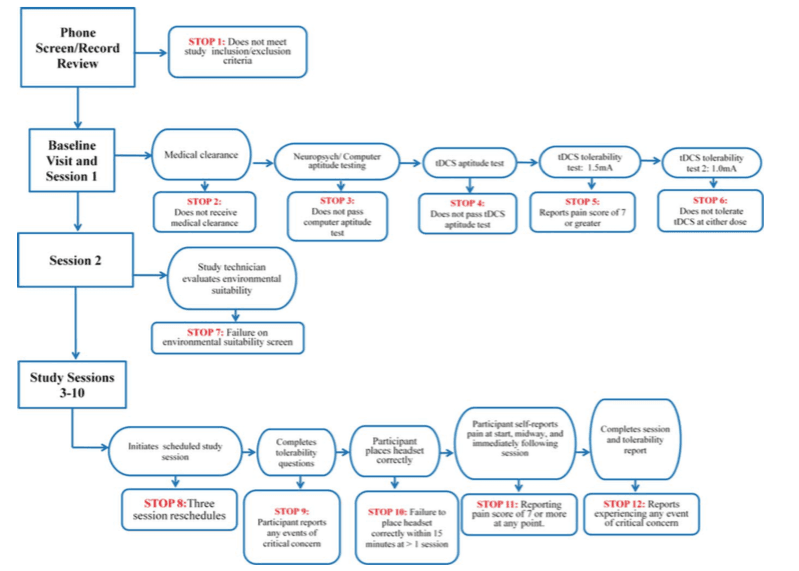 The guidance emphasizing the rigor of this approach is called: Remotely-supervised transcranial direct current stimulation (tDCS) for clinical trials - guidelines for technology and protocols. Recommendations include methods for training, ongoing assessment, and use of only devices and accessories explicitly designed for remote use – including the Soterix Medical REMOTE platform. Trial specific protocols are established for the Remotely-Supervised tDCS in Multiple Sclerosis (MS). Home-use tDCS protocol, device, and accessories must be customized with special consideration for the patient population. As part of rigorous operator training, instructional videos are developed. From recruitment, to inclusion/exclusion, use of secure video conference software, to the custom head-gear and patient “tool-box”, Soterix Medical engineers worked closely with clinicians to develop a reproducible and tolerated protocol. A rigorous compliance and tolerability trial is conducted. To provide accessible treatment while maintaining clinical trial standards for study in MS, clinical investigators worked with Soterix Medical engineers to develop a remotely supervised tDCS protocol. A telemedicine protocol with remotely delivered tDCS removes llogistical barriers limiting MS patient access to ongoing treatment without comprising tDCS quality. The use of Soterix Medical REMOTE tDCS hardware and accessories is validated in a target patient population. This schematic illustrates the principle of supervised neuromodulation. 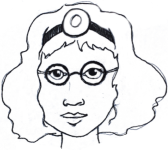 While not intended to capture the details of device and headgear design (which are customized for each use), or the trial specific technology of telemedicine (including use of text or video conferencing), the principle or supervision at the start and completion of each trial is highlighted. Without compliance and control, remote use of neuromodulation will not meet medical standards. Each Soterix Medical feature was developed by our team of biomedical engineers consulting closely with leading clinical centers. Designed to simply set-up, provide intelligent warning of a fault condition, and allow for adjusting for patient comfort, these features facilitate reliable and tolerated tES. The Soterix Medical SMARTscan™ feature is central in all neuromodulation devices to allow reliable set-up and monitoring. Current intensities, durations and repetitions set in each discharge key. All output performance recorded. Dose can be adjusted based on patient response. All Soterix Medical REMOTE Neuromodulation systems are equipped with strict dose control feature that provide reliable control over the intensity and timing of stimulation. 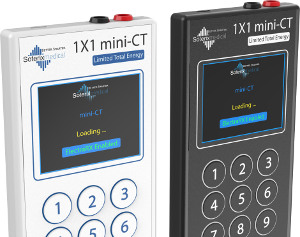 The Dose Limitation feature extends well beyond simple timing control as Soterix Medical consider deploying a device without methods for ongoing monitoring by a professional and methodology to adjust and stop stimulation, not sufficient. Therefore, Dose Limitation technology is integrated with other clinical protocol features and steps unique to each REMOTE Neuromodulation device model. Dose Limitation can be achieved via hardware, software, or wireless supervision. Recognizing that “In Advanced Neuromodulation, One Size Does No Fit All”, Soterix Medical biomedical engineers are ready to customize dose control and compliance approaches to your needs. Limited Total Energy for tES (LTE-tES) was developed exclusively by Soterix Medical engineers. LTE limits the voltage and power required for tES through the use of adaptive ramp-up stimulation and intelligent energy management for currents up to 1.5 mA. Developed to support multi-center clinical trials in tES. Double Blind from Soterix optimizes well beyond traditional ramp up/down shams. For true operator blinding, device operation must balance providing a continuous indication of stimulation and electrode quality status for safety, without betraying whether the stimulation session is real or sham. Since “one size does not fit all,” Soterix Medical scientists work with you to customize Double Blind to your active protocol and electrode montage. Soterix Medical REMOTE Neuromodulation systems are all equipped with unique technology that allows monitoring of dose compliance. This data is collected in a way that is coded to the subject allowing the remote operator to quickly diagnose concerns. If stimulation is aborted or interrupted, impedance is abnormal, or other faults are detected by the device, the system will automatically abort or alter stimulation and the incident details stored. 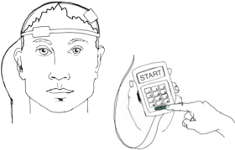 REMOTE Neuromodulation systems can also be configured to prompt users to survey data. Usage Storage can be achieved through varied combinations of hardware, software, or wireless supervision. Contact Soterix Medical to learn how REMOTE Neuromodulation systems can be programmed to your needs. Sometimes trivial issues require stimulation interruption or adjustment. Rather than abort a session which can result in subject exclusion or data confounds, the PAUSE feature was developed in collaboration with clinical trial experts running higher-volume or longer duration trials. For both automatic (under SMARTscan™) and user initiated PAUSE, this exclusive feature intelligently avoids breaking sham even in double-blind trials.